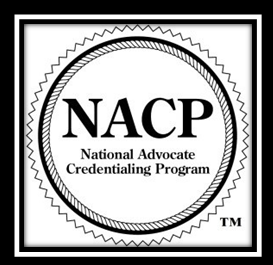 To serve as the National Advocate Credentialing Program (NACP) Review Committee with the purpose of reviewing and granting Credentials to victim service advocates and their allied professionals applying to the NACP program in accordance with NACP standards and requirements; to provide accountability to the field of victim advocacy and to oversee the NACP credentialing process. The NACP Review Committee provides expertise in victim advocacy and services, training, standardized review of credentialing applications and procedural guidance. The Review Committee reviews every application for credentialing, determines final approval, and provides accountability for standards and decisions. The Review Committee operates in accordance with the standards initially established in April of 2001 by a collaborative of national and state victim assistance organizations.